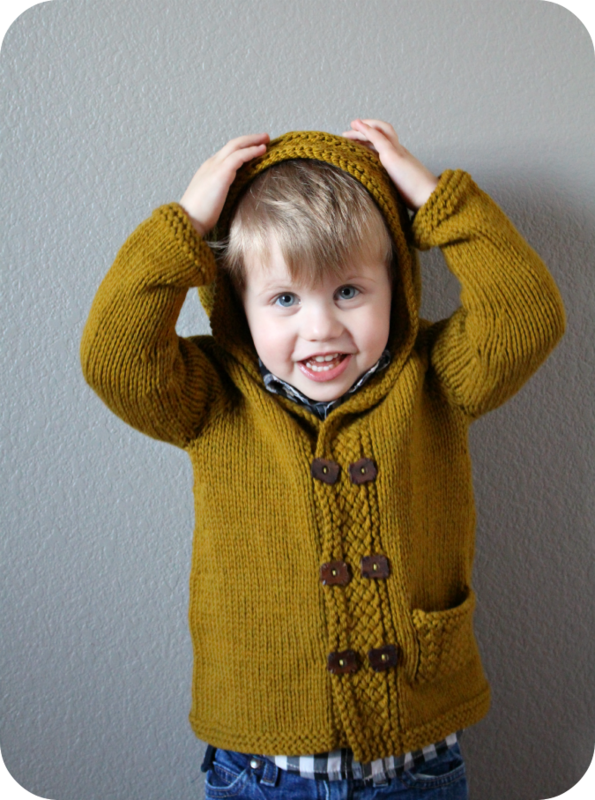 I just completed this adorable Baby Latte Coat for my son, and after a little bit of bribery, he finally put it on so I could snap a few pictures! This is going to be the perfect coat for him to wear this winter. The design itself is so dapper with the double row of buttons and textured band. 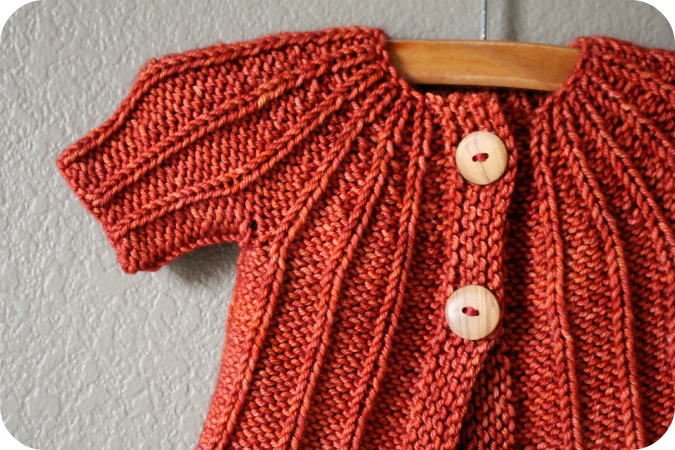 I used Quince and Co. Osprey yarn in the honey colorway for this knit and I love the warmth and squish that this yarn provides. 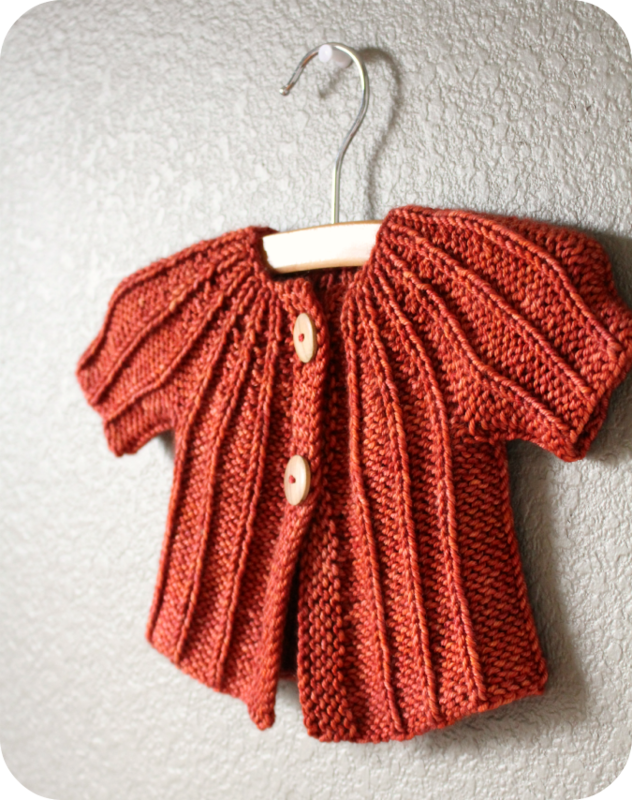 I recently knit up this sweet tiny little cardigan as a baby gift. It took only a few hours to make. It was soooo quick and easy! Granted.. this is the smallest size. It looks like it would fit maybe a 3 month old. 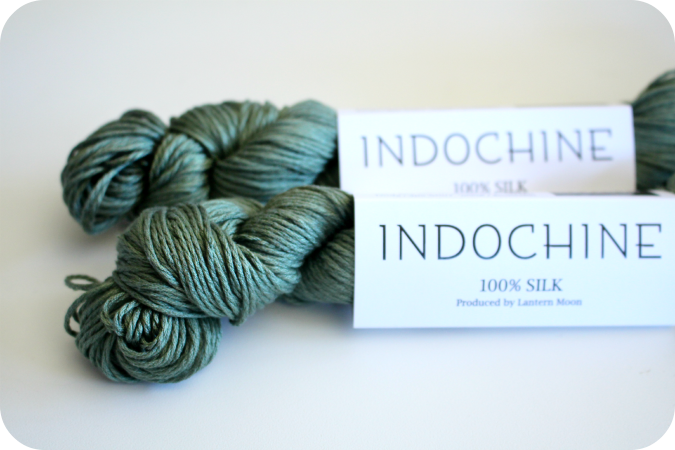 I used a stashed skein of Becoming Art worsted weight yarn. I lost the label.. so that is unfortunately all I know... but you cannot go wrong with Becoming Art. Everything Lisa dyes up is just beautiful. 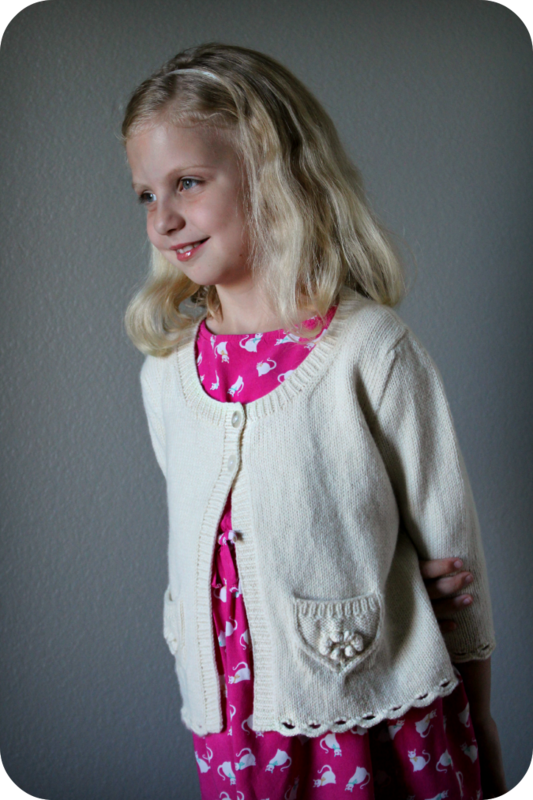 The pattern is called Yoked Cardigan by Hannah Fettig. I did make one tiny modification. I added some decreases to the sleeves to bring them in a bit. I prefer that to the flared sleeve look. 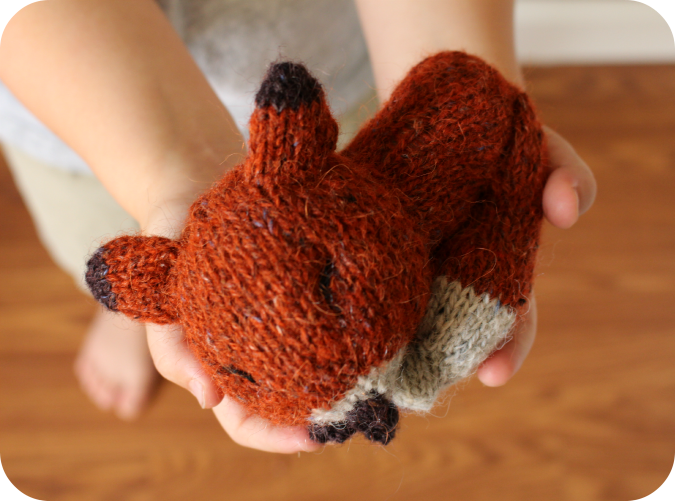 I think this might be my new go-to baby gift pattern. It is so very sweet. 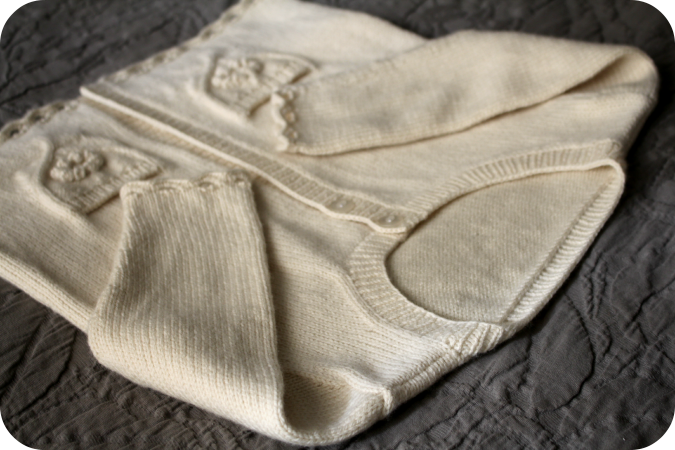 If you are looking for a last minute baby gift, this is the cardigan for you! 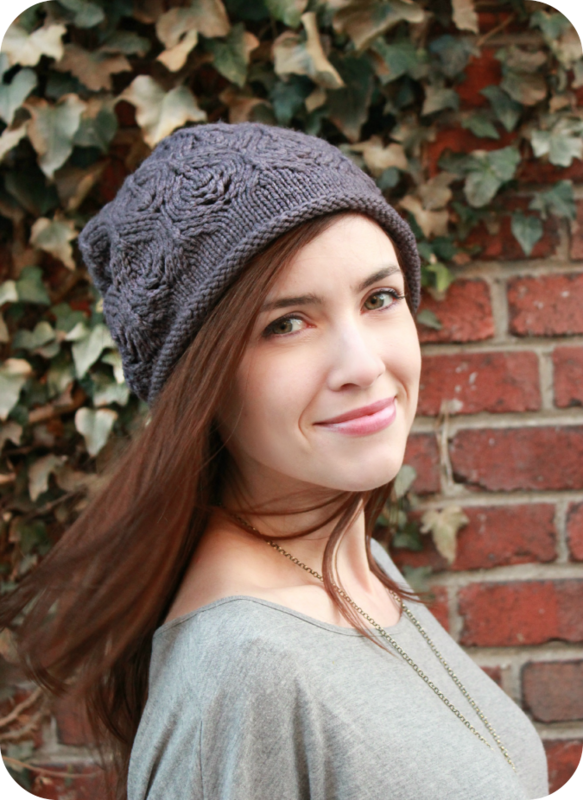 I just happened to finish knitting the most adorable hat pattern I have ever seen. 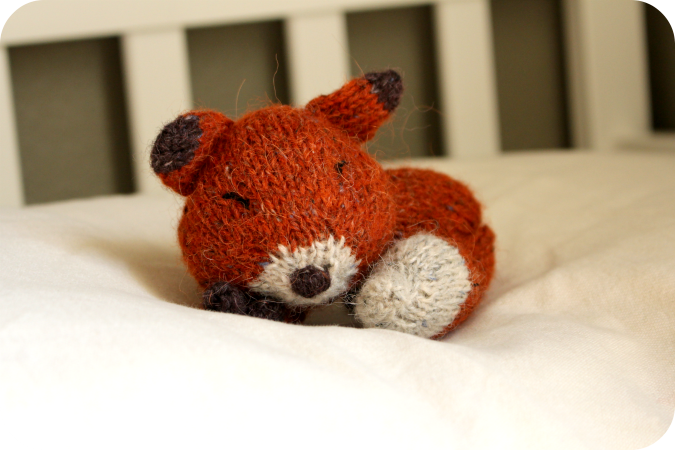 I did not make this for any special reason, nor was I planning on knitting it. It was simply a case of seeing this design and having to have it... right now. 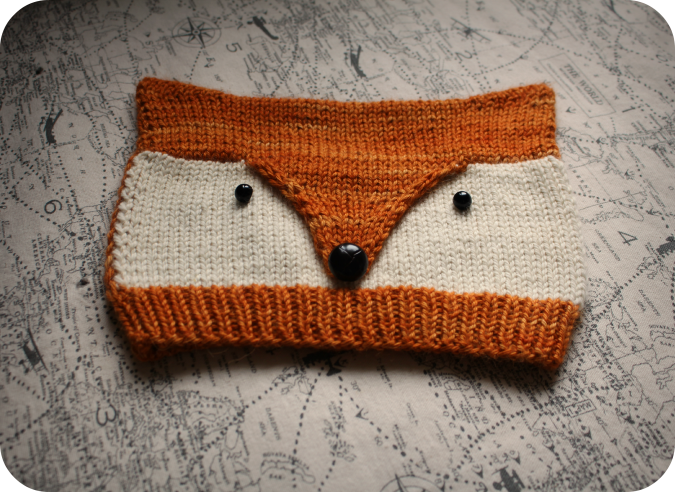 I am so enjoying the current popularity of woodland animal patterns, and this one is no exception. 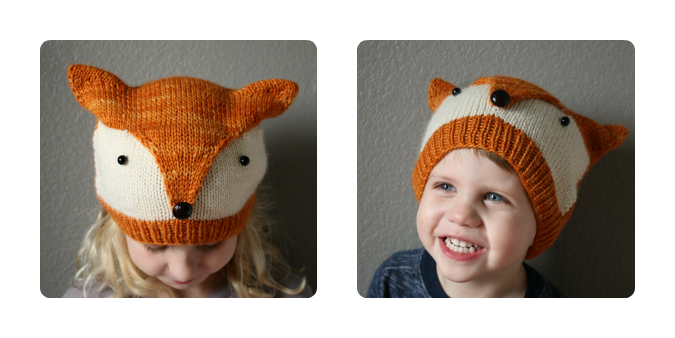 This unbelievably cute hat was knit from the Foxy & Wolfie pattern designed by Ekaterina Blanchard and I used two very beautiful yarns from my out of control massive yarn collection. 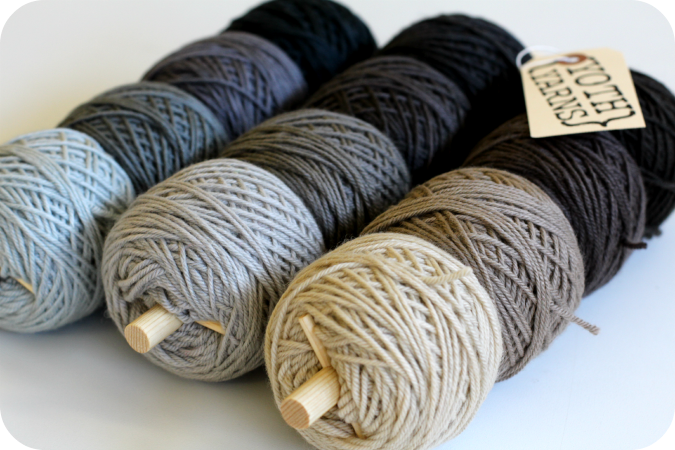 The orange skein is the beautiful Snow Capped Yarns Olde Salt Collection in the Rusty Anchor colorway from Cordova, Alaska. 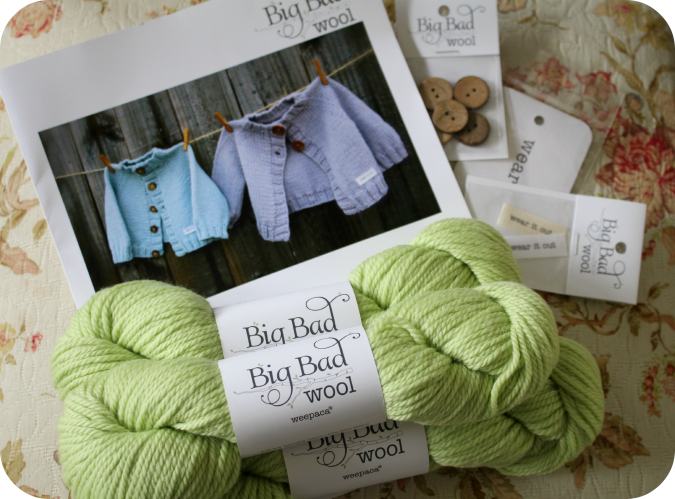 The Cream color yarn is Big Bad Wools Weepaca in Raw White. 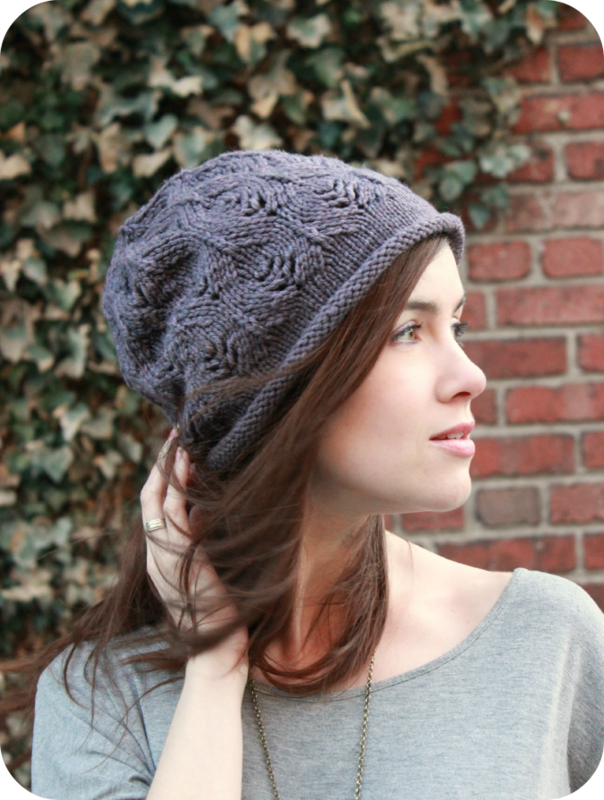 Both yarns were wonderful to work with and I am happy to have found these perfect colorways in my stash for this hat! I made the toddler size and it somehow fits both of my kids. I think my 3 year old son has a giant head and my almost 9 year old daughter has a tiny head. Works out perfectly. In other news.. both of my children love this hat. My knitwear-hating son actually asked to put it on. This little hat makes me so happy. 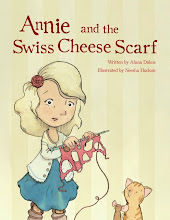 Cyber Monday Book Sale- One Day Only! ...and the sale continues! 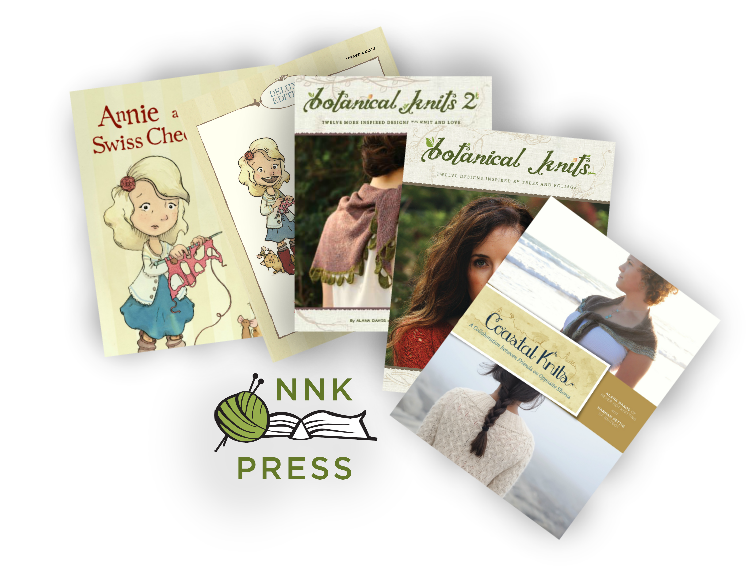 Save 25% on the below books today only! 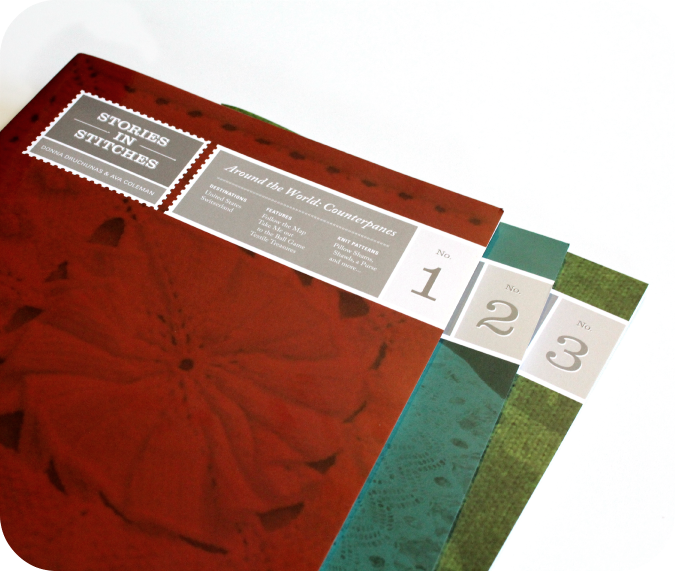 It is time to stock up on your favorite patterns! now through midnight PST on Sunday, November 30. Stay tuned for another special sale promotion on Cyber Monday! 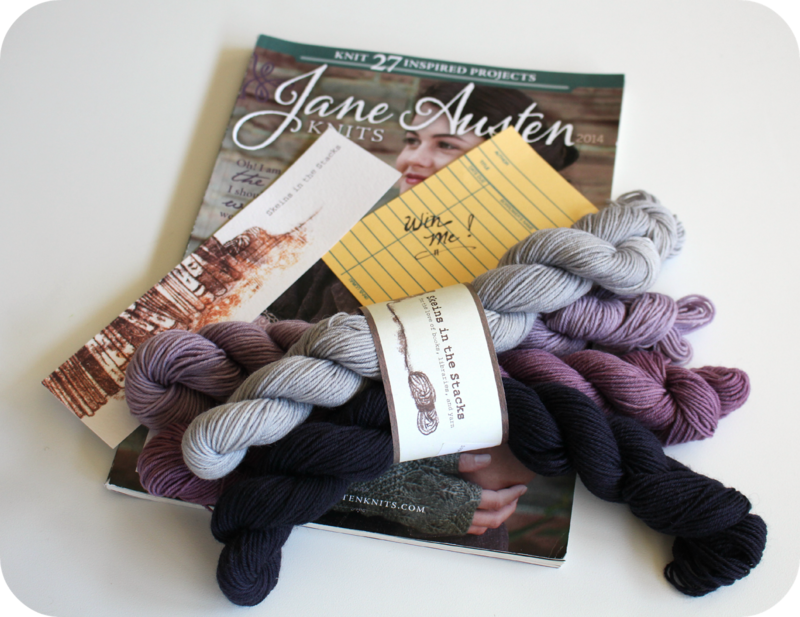 Enter to win this beautiful bundle of Skeins in the Stacks yarn along with the current copy of Jane Austen Knits by leaving a comment with your contact information under this post by December 15th. Only one comment per person please! The winner will be announced in Episode 86. The Lantern Moon 2015 Retreat will take place at the lovely Five Pine Lodge in central Oregon, where you'll stay in your own spacious private cabin, and have an opportunity to experience the fabulous Shibui Spa! 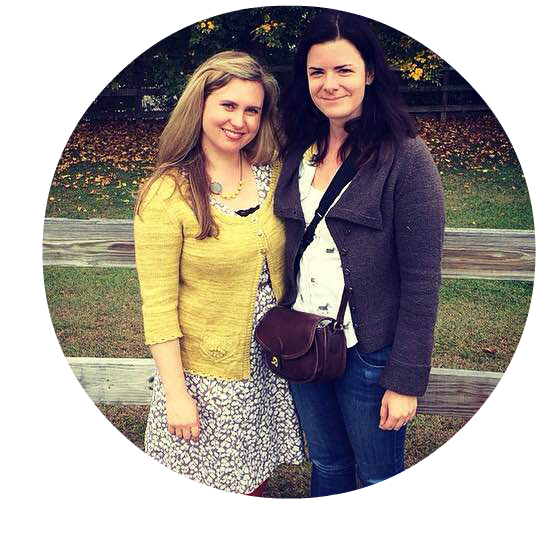 Teachers will include Alana Dakos of Never Not Knitting, Jean Wells of the Stitchin Post, and Jean's daughter Valori Wells of Valori Wells Designs! 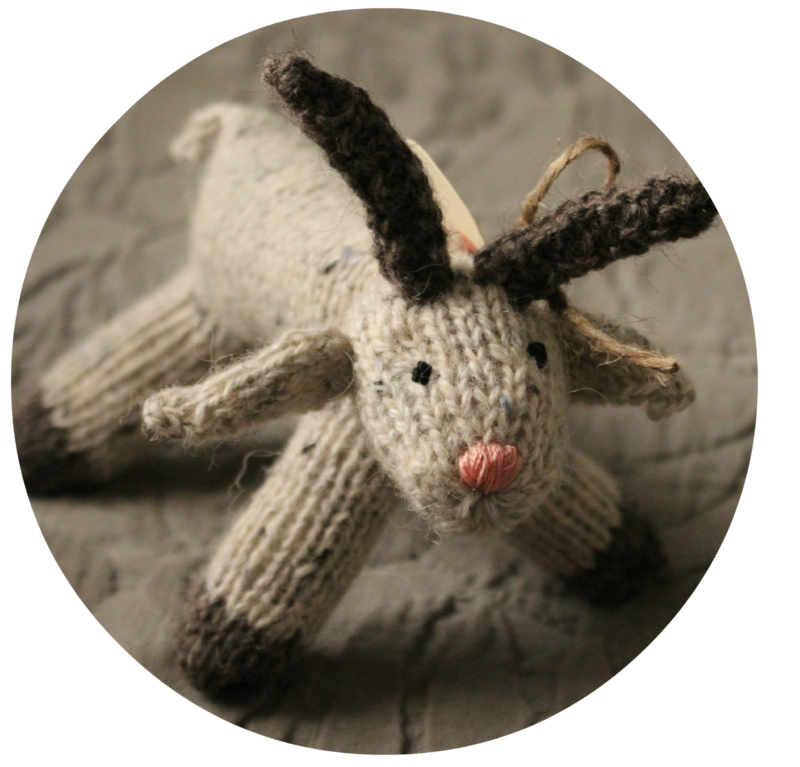 Full details on classes and schedule will be available in early December. Pre-register Today! Call Cathy at 800-530-4170 to reserve your spot! 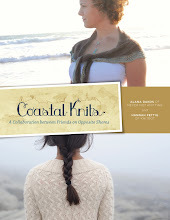 Listeners of the Never Not Knitting podcast can receive free shipping on Skeins in the Stacks orders of 2 items or more. Enter code "NNKPODCAST" in the checkout process HERE. 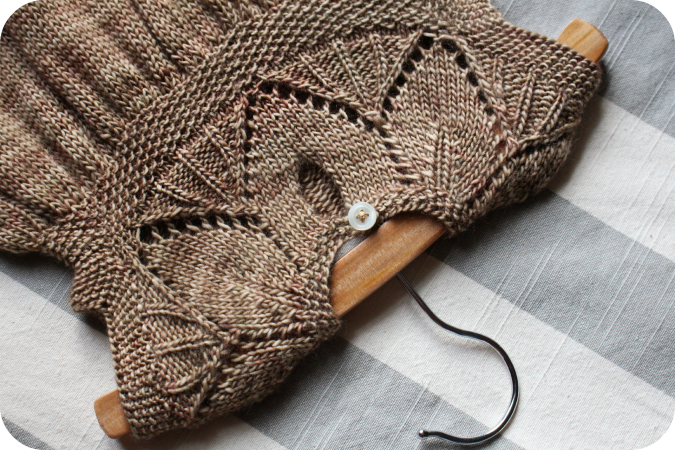 Now I enjoy knitting a sophisticated sweater or an intricate lace shawl just like anyone else... but sometimes you just need to go for a project that is entirely abstract. 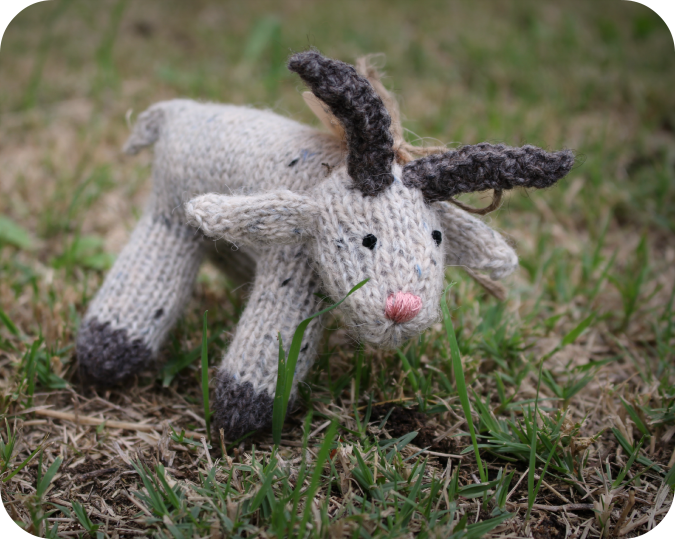 I knit this little guy for my cousin's baby boy who is 2 years old and finds goats absolutely fascinating. 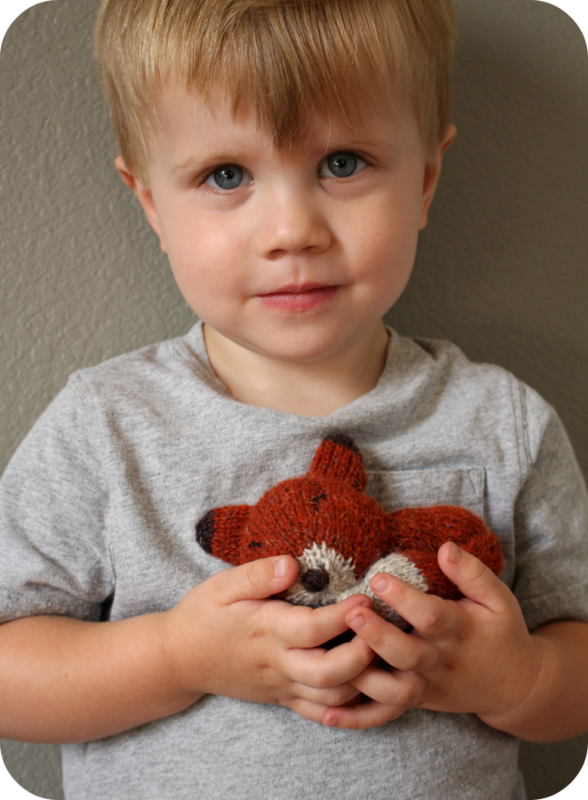 They are his current favorite animal. 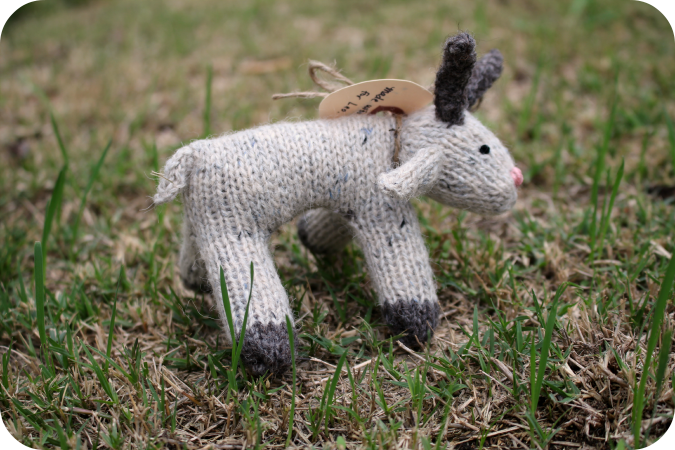 I am sending this little knitted goat off in the mail as a surprise. It's not the real thing.. but hopefully he'll love it anyway. Pattern found HERE for those of you who need a break from the traditional. 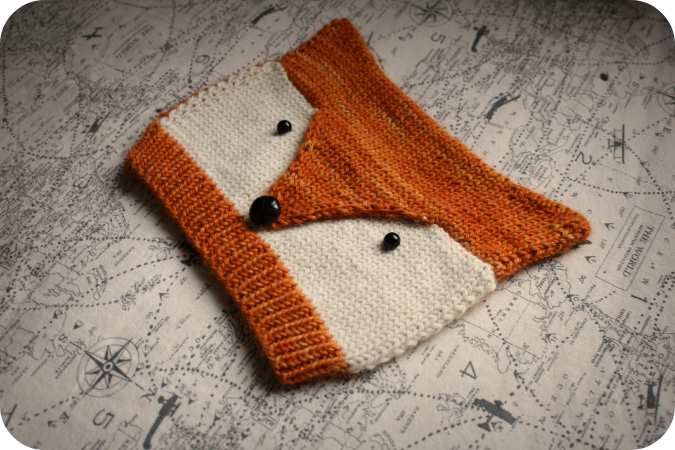 Occasionally I find and knit up a pattern that truly satisfies me as a knitter. Everything about it is enjoyable and comes together in a beautiful way. 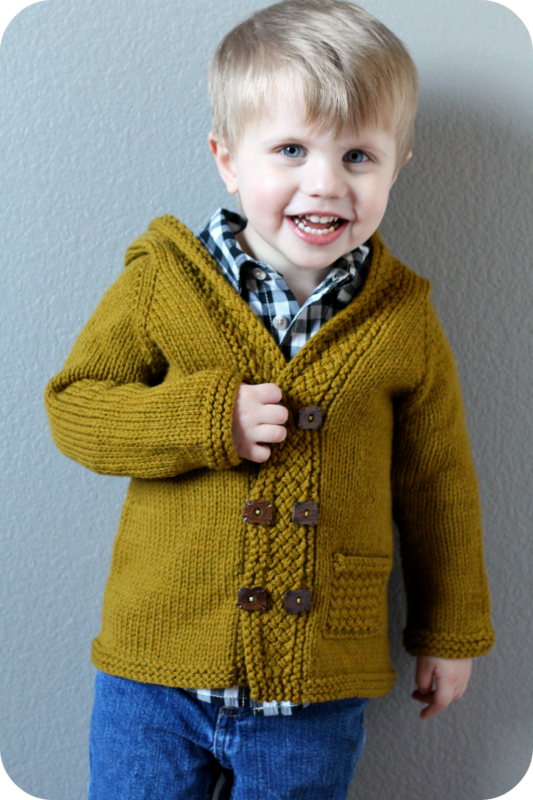 This is exactly how I feel about my most recent knit. 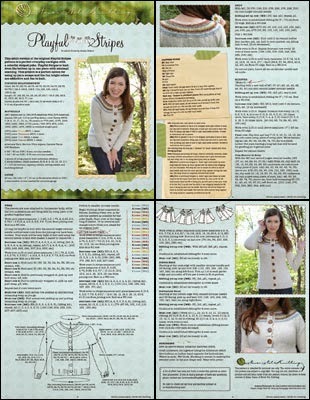 The Clara pattern. 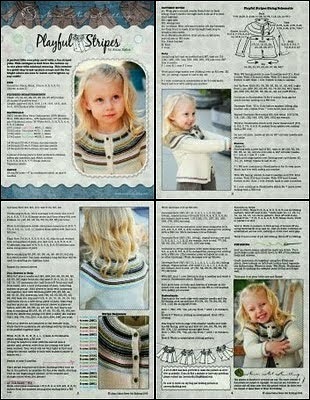 Not only was this pattern fun and interesting to knit, but the dress is too adorable for words. It's what I would call.. painfully adorable. The details kill me. I just love it so much. ALSO... 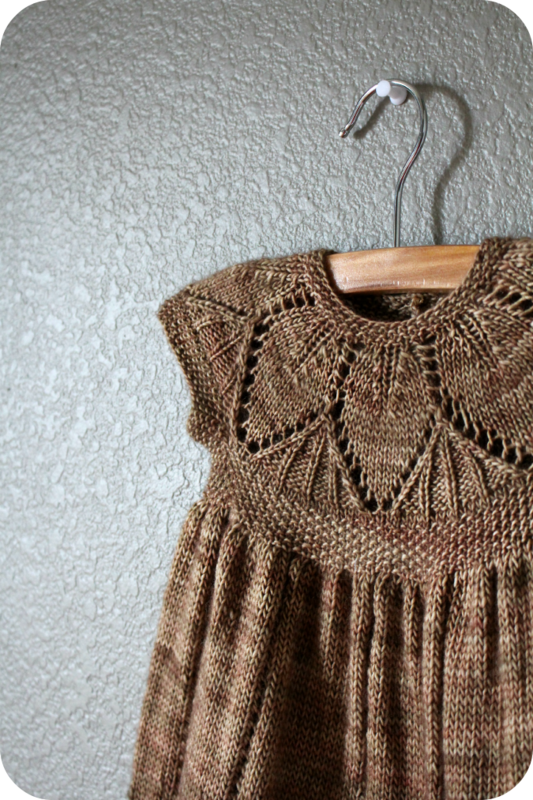 I was able to knit this entire dress with one skein of Madelinetosh Tosh Merino Light that was languishing in my yarn stash. 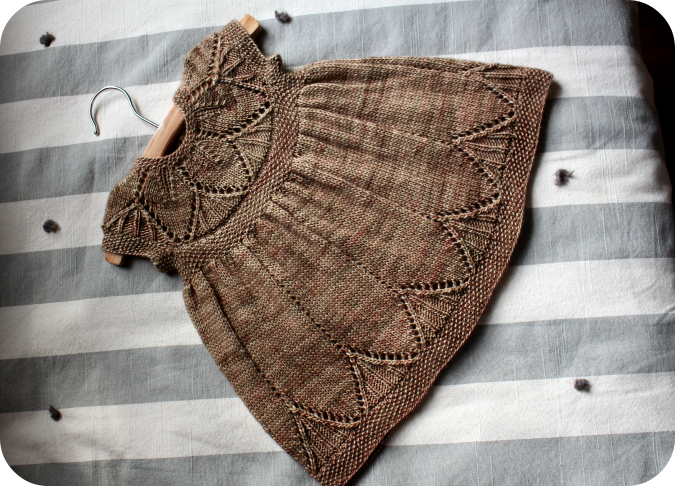 It is not often that you can knit an entire garment from only one skein! I knit this little dress as a present to take to a baby shower this coming weekend for my friend (and Botanical Knits model) Courtney who is expecting her first baby this January. 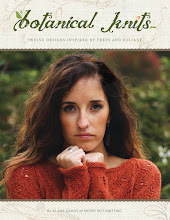 Enter to win a copy of Stories In Stitches Volumes 1, 2 and 3 by leaving a comment with your contact information under this post by November 15th. Only one comment per person please! The winner will be announced in Episode 85. 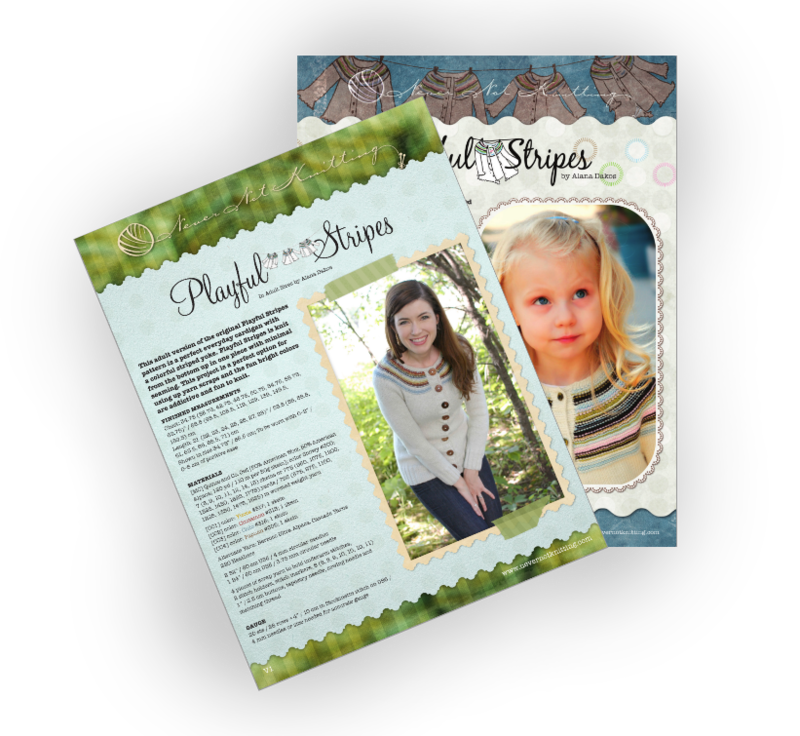 6 Days Of Fall Pattern Sales! Autumn is officially here and I am SO excited. 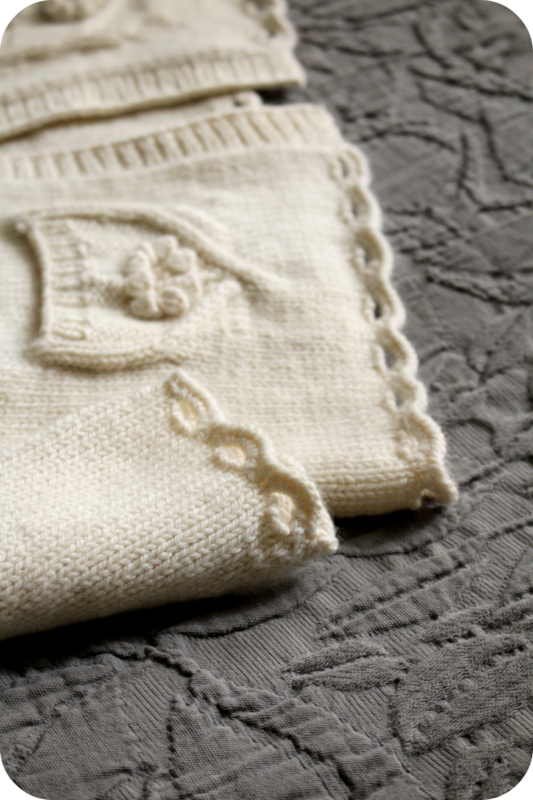 I love the cooler weather... evenings spent inside... and of course the coziness of fall knitting. To celebrate I am hosting a new fall sale starting today! 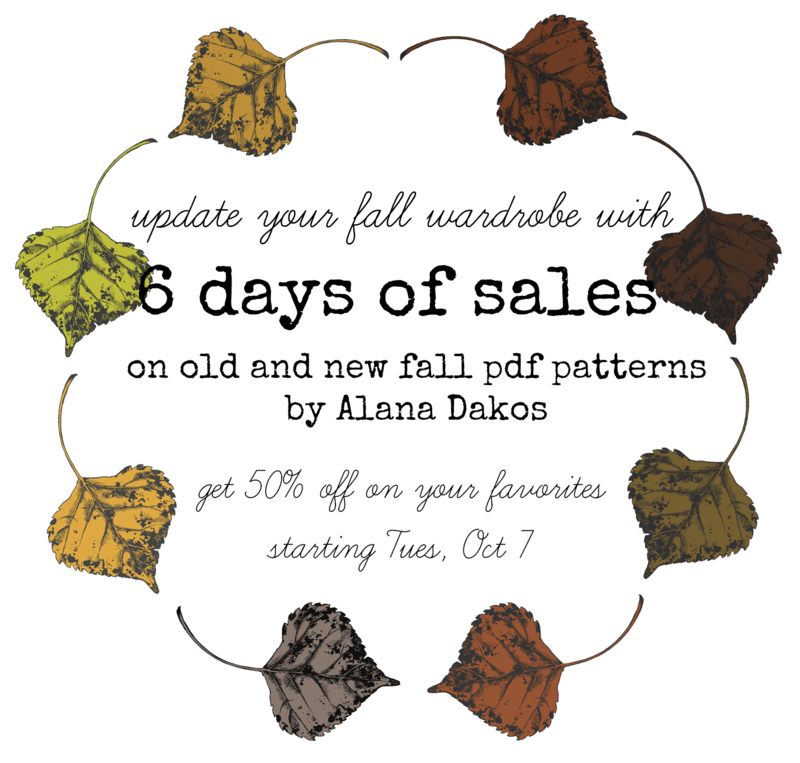 For the next 6 days I will be releasing a new coupon code for you to receive 50% off on one of my fall designs. Here is the catch. I will be releasing a new code in a different place each day! Maybe facebook? Maybe twitter? Maybe through my mailing list? This will be like a coupon code treasure hunt! The sale will run through midnight PST on October 12th. Once a code is released, it will not expire until this time. 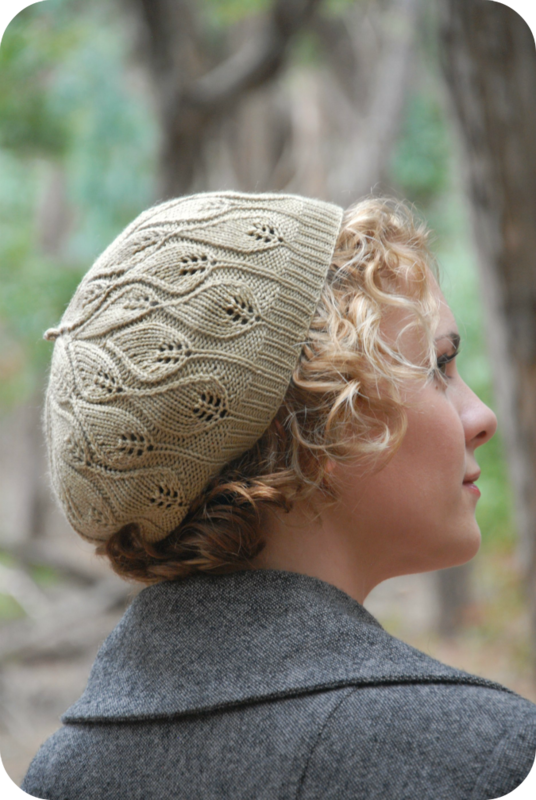 Today's coupon code will be for my Rustling Leaves Beret pattern from Coastal Knits. 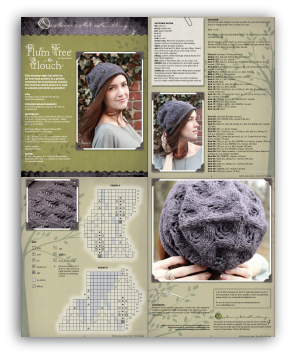 This seems to be a popular pattern choice because over 1000 knitters have posted their Rustling Leaves projects on Ravelry! 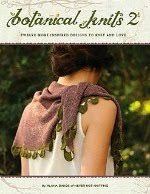 It is so fun to look through the pictures and see this design knit up in different colors and textures. 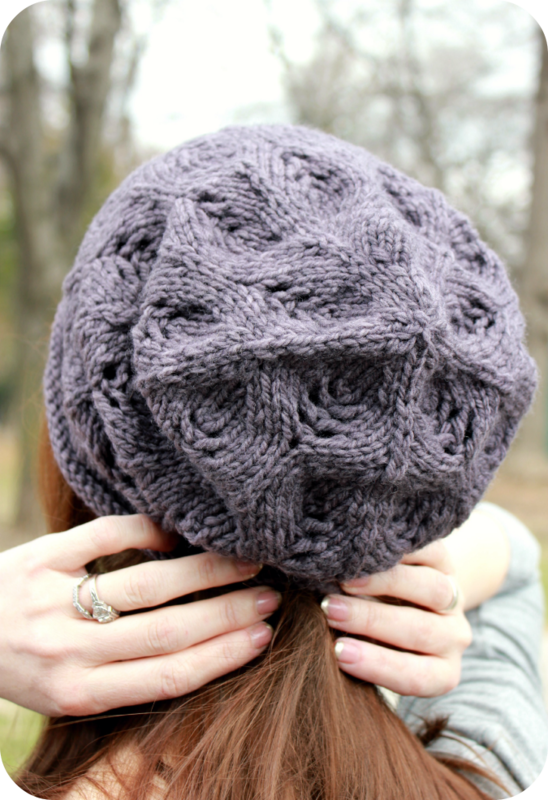 Enter code fallleavesrustling in the checkout process to receive 50% off of this pattern through October 12th. contact information under this post by August 15th. Only one comment per person please! The winner will be announced on Episode 82.